PRE-CONSTRUCTION, TO BE BUILT - QMI READY IN FEBRUARY. Brand new construction from one of the bay area's more popular builders. Lucaya Lake Club is a rapidly growing community in South Hillsborough County. We feature resort-style ammonites including a clubhouse, fitness center, splash park, playground, and swimming pool. Enjoy canoeing, kayaking and paddle boarding from our 78-acre lake accessible to all residents. 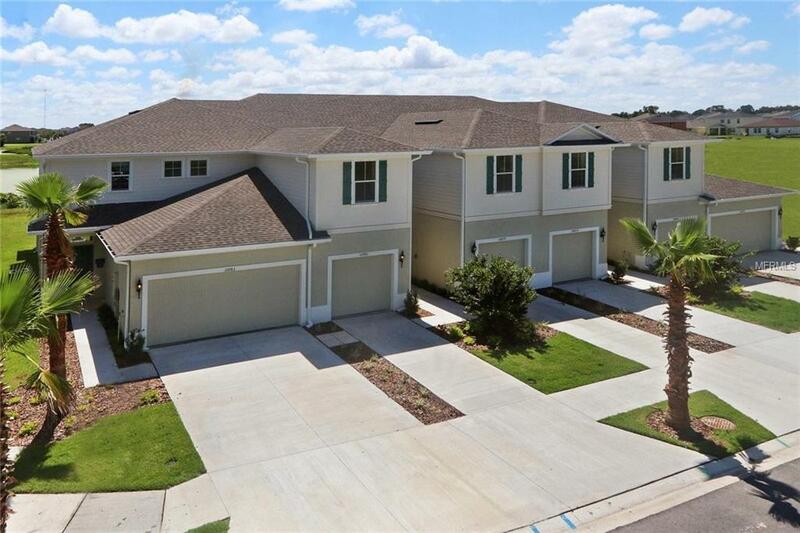 The townhome features 3 bedrooms, 2 1/2 bathrooms, a covered and screened lanai, and a 1 car garage. Enjoy serene wetland conservation views from the backyard with sunrise & sunset views from your own private lanai! Buyer will receive closing cost assistance with use of NVRM. Disclaimer: Prices, financing, promotion and offers subject to change without notice. Must use NVRM to receive promotion. Offer valid on new sales only. Cannot be combined with any other offer. See a Sales and Marketing Representative for details. All uploaded photos are stock photo of this floor plan, and home will look similar to photos. Listing provided courtesy of Marge F Maltbie.